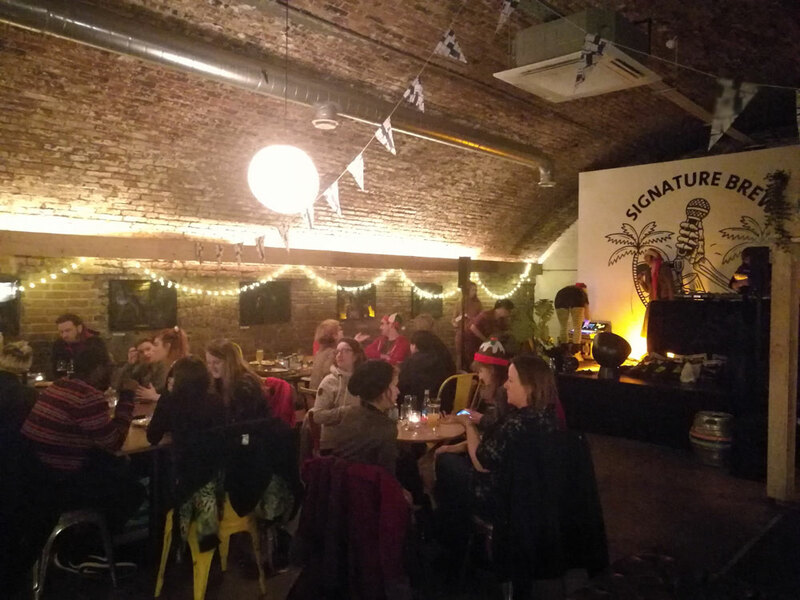 this is the first newsletter of women in live music…missed us before we existed? So did we. WELCOME TO THE FOURTH NEWSLETTER FROM WILM! WILM has now been around for one year! And what a great year it has been! Wants to come back for more training! Unfortunately we have experienced some no-show’s at our events over the year. We have therefore determined that every attendee needs to be a paid member. At the same time we do encourage you as our member to notify us, if you can’t make it to the event. Everyone working on our events are volunteers, and do this on own expenses and in their spare time. When we have some of the major manufacturers involved, it always costs them a lot of time and expenses. So, when you sign up in the future for our events, please notify us if you can’t go! 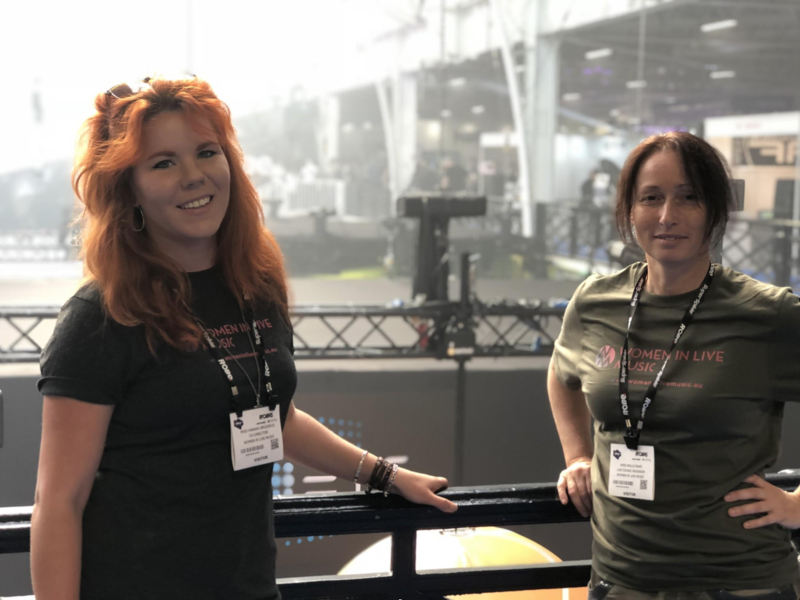 In September, we were represented at PLASA, the annual tech exhibition in London. 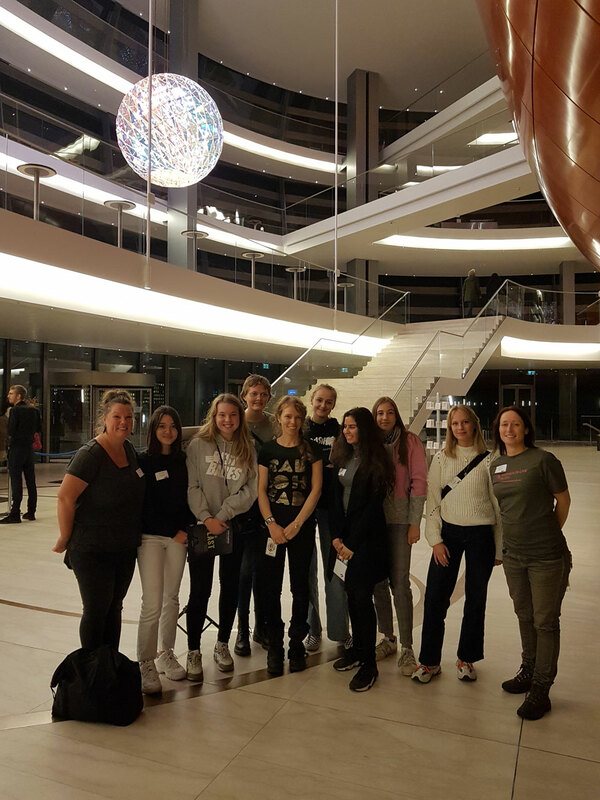 At the same time, our finnish representative Alanna Pepin- Danissen (also this year Award-winner in Video operating) arranged the first finnish meet up in Helsinki, where nearly thirty members showed up! If you are keen on being a WILM representative in your country, please send us an email with your request to info@womeninlivemusic.eu. We did had a couple of more things going on in September, like the Intro to Backline at the Music Bank in London, who were so nice to lend us both a beautiful room and all the backline, we could wish for to have a go on. In October we were once again guests for a couple of days at our dear friends at d&b audiotechnik, in south of Germany, where we had a deep insight of sound design, electro acoustic etc. NOVEMBER was a big month for us, where we had our first Intro to Tour Management workshop – which is very desired. 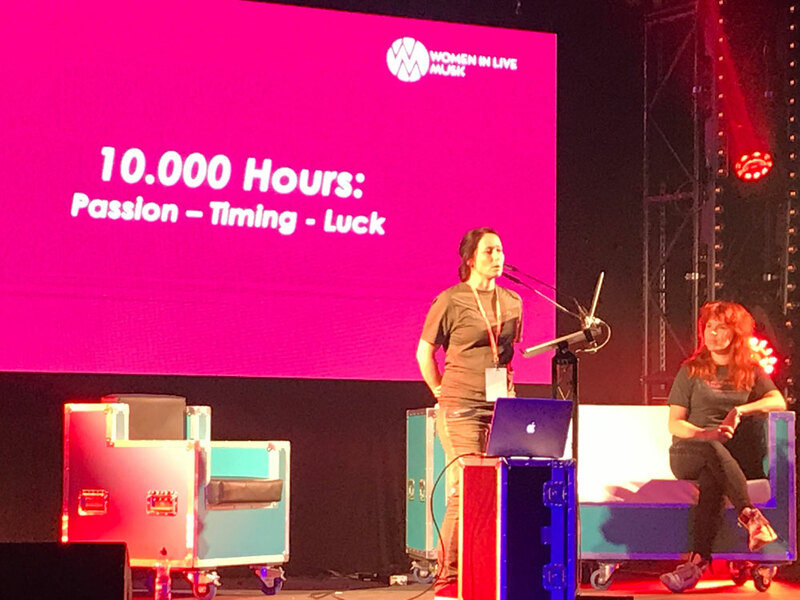 (If you have an idea for a workshop, please let us know at info@womeninlivemusic.eu). We were also represented at TPi’s Production Future in Manchester, where TPi were so kind and gave us a booth – that was Busy from start til the very end with a lot of visitors. TPi also gave us the possibility of making a presentation of WILM from the main stage in front of 120 people. We ended November with one of our Walk & Talk, which is a new concept to us: We get invited by a bigger production to have a walk around to see e.g an Arena sized production. At the same time a crew member will share his/hers experience of being on the road + a lot of facts and anecdotes. This is for both Experienced and New comers. DECEMBER was a birthday month for WILM – The very first anniversary! 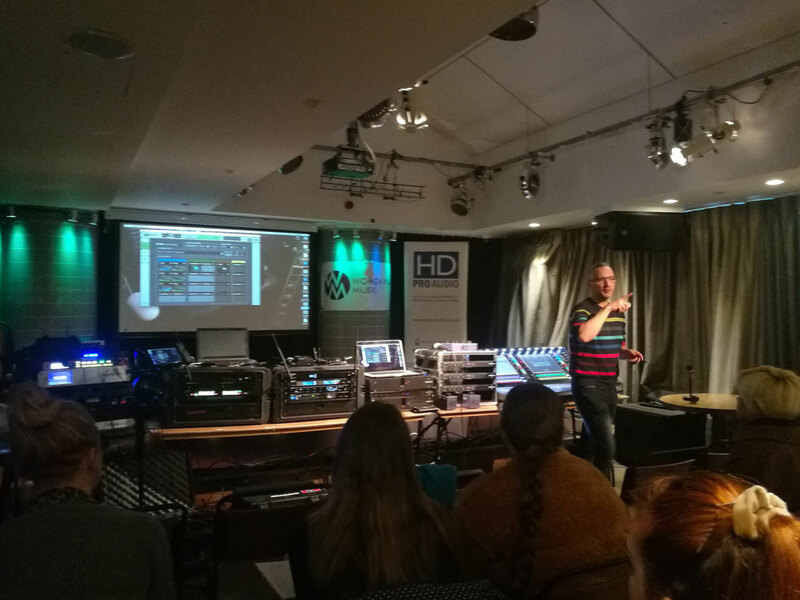 We were celebrating in London with a great workshop at the amazing club – The hospital Club, very kindly provided from HD Pro Audio, where our friends from KLANG:Technologies, SHURE, DigiGrid & Waves came and gave us an intro to some of their most popular products. In the evening we had a celebration at the Signature Brew (Thanks SHURE for the donation! ), where the now famous WILM award was held! Thank you to everyone who attended to celebrate with us! – is going to be a big year for us! At the moment we are working on a cooperation with Bang&Olufsen. Info about that project will be announced very soon. We have also been working on a couple of projects with some danish festivals. One of these will be the ‘Musik I Lejet’ which will happen end of July. And we have also made an exclusive deal with the venue ‘Forbrændingen’ in Denmark. We will be looking for both experienced crew members and absolutely newcomers. For the Danish venue ‘Forbrændingen’ near Copenhagen, we will be looking for trainees all year. Experienced crew member will get paid, Interns/trainees are volunteer. Everyone must carry they own travel expenses. Accommodation and catering will be provided for the gig. …for more exciting news and events! We are looking for volunteer fundraisers and donations. Please like our facebook page where we put up dates for training, trade shows etc. here on a regular basis. We thank you for all your support. Please help us by spreading the word.